Combine your passion for people, management and�outdoor�education and join�Bindaree�s growing and passionate team of�outdoor�professionals. Bindaree is seeking an exceptional and experienced outdoor professional with proven client management experience and high attention to detail to join our passionate, dynamic, fun and skilled team. Bindaree Outdoor Education is a private company based in Melbourne�s eastern suburbs with a proud 29-year young history specializing and delivering quality outdoor education programing to school and corporate groups throughout Victoria. Bindaree Outdoor Education works mainly with secondary schools to deliver sequential, progressive and educational outdoor camp programs. Bindaree Outdoor Education is regarded as an industry leader through our contributions towards the development of the Outdoor Education Industry in Victoria. Bindaree also owns and operates a residential campsite, Camp Toolangi, who services both primary and secondary school groups, and has a growing community and sporting group clientele base. Collectively Bindaree strives to set the highest standards in areas of safety and professionalism as well as program and curriculum development and we are seeking an experienced outdoor Program Manager and office-based manager to join our team. 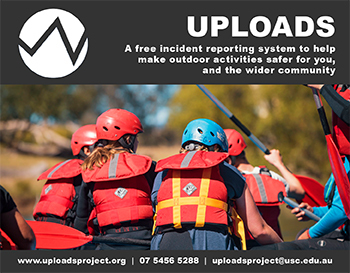 To undertake the role of Program Manager on a range of allocated programs where you will direct and manage a team of Bindaree leaders, fully support all school-based staff, oversee all program logistics, activities and catering as well as overseeing program rationale, safety and the total wellbeing of all client participants. To undertake a schedule of pre-and post-program planning, management and assessment within each Program Manager role as allocated. Undertake work on the factory floor as required in relation to packing and returning of program resources, catering and equipment. Strong sense of initiative and capacity to work with minimal guidance and supervision. This Client Coordinator role is a Full-Time position with a generous remuneration rate, employment and leave conditions. Bindaree Outdoor Education Services is committed to safeguarding children and young people and all applicants must comply with to our child safe protection policies and recruitment process. We are an equal opportunity employer and applications from Aboriginal and Torres Strait Islander peoples and people from culturally and linguistically diverse backgrounds are encouraged. For an Application Form please send your �Expression of Interest� to the Bindaree Outdoor Education Manager, Samuel Atkins at sam.atkins@bindaree.com. All completed application forms must be completed and returned by 5pm on Sunday 28 April 2019.